When the singer songwriter Don McClean, creator of American Pie – the song, not the film – had an international hit with The Mountains of Mourne, most of his worldwide fans assumed that he had written it himself. Few, outside of Ireland, had ever heard of Percy French, humorist, civil engineer, songwriter, landscape painter, banjo player, poet, inspector of public drains, and sometime musical hall performer. French was born in Cloonyquinn House, Roscommon in 1854, into a landowning family. He wrote his first song, Abdul Albulbul Amir before he even went to university and had an early experience of what it was like to be ripped off when he sold it for £5 and later saw others claim it as their composition. After leaving Trinity College, Dublin in the mid 1870s he took a job for the Office of Public Works in County Cavan inspecting drains. During his time peering into other peoples sewage he also wrote many of his most famous tunes and painted prodigiously. His employment with the OPW lasted until 1887. He was laid off when the organization downsized. To keep body and soul together French decided to combine some of his emerging talents and established a comic magazine, The Jarvey. It was when that unhappy enterprise failed after a couple of years that he really launched his career as a songwriter and entertainer. This was in spite of the huge tragedy of his life when he lost his young wife, Ettie, in 1891. She died in childbirth at the age of twenty and their baby daughter died a few days later. French re-married in 1894 to Helen Sheldon and went on to have three daughters. His better-known songs are generally comic or sentimental. 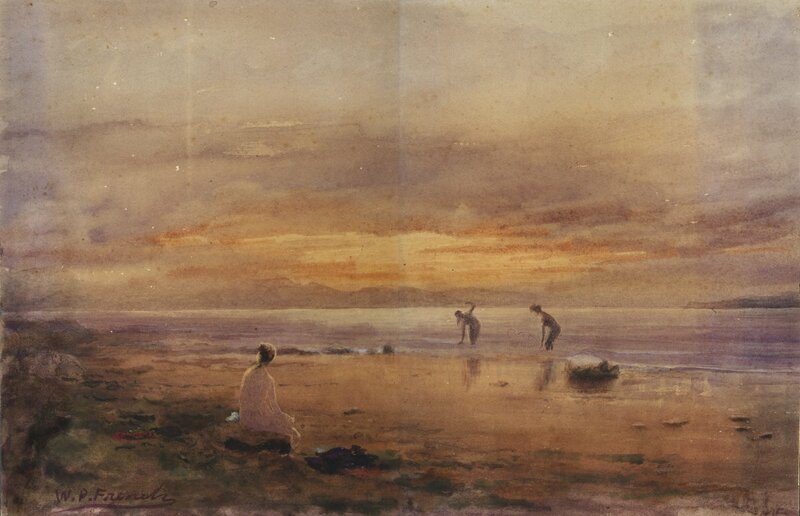 The Mountains of Mourne, a story of emigration and nostalgia, was written in 1896. His hymn to the county that first employed him, Come back Paddy Reilly to Ballyjamesduff was penned in 1912. 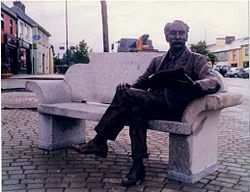 An excellent statue of French can be found sitting on a park bench in the main street of Ballyjamesduff. By the early 1900s he was a popular music hall performer, touring the world with his partner and accompanist Dr.W.Houston Collison. His most famous comic song was written as sweet revenge. Are you right there Michael famously parodies the notoriously tardy West Clare railway. In 1897 French travelled on the line from an engagement in Sligo to one in Clare – the service was so slow, with the driver making numerous unexplained and unscheduled stops, that by the time French arrived at the venue for the 8.00 pm recital the audience had gone home. He was unsuccessfully sued by the West Clare railway for libel, based on the subsequent ridicule to which they were subjected. An anecdote, probably apocryphal, but too good not to recount, tells of how French was late for his day in court. On being admonished by the judge he replied, ‘I apologise your honour, but I travelled here by the West Clare railway’. Percy French, died 94 years ago, on this day. 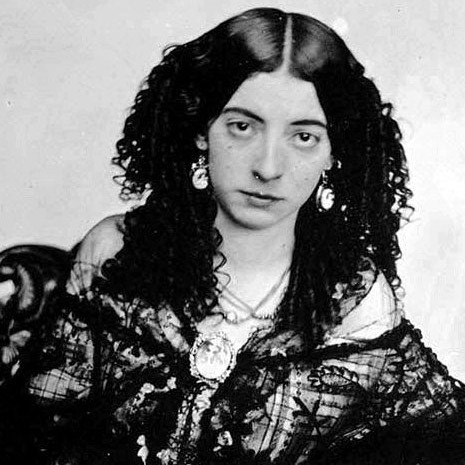 The story of Lola Montez is full of untruths and myths – she made up most of them herself. Even the time and place of her birth is disputed. She was born in Limerick in 1818 or Grange, Co.Sligo in 1821. It doesn’t help that she consistently lied about her age. Nominally a dancer (her dancing skills were, apparently, negligible), she was, in fact, one of the most sought after courtesans of her era. Through a combination of good looks, charm and supreme self-confidence she managed to inveigle her way into the upper reaches of 19th century European and American society. Along the way she reinvented herself more often than a nervous chameleon. Sometime in the 1850s she decamped to the USA and eventually arrived in the burgeoning city of San Francisco. She sought to create a sensation and didn’t have to try very hard. Whenever she ventured out she was accompanied by two greyhounds. A parrot adorned her shoulder. She made good copy. She quickly snared the publisher and former gold rush miner, Patrick Hull. The attraction, she claimed, was based on his ability to tell a funny story. He must have run out of jokes fairly rapidly as the relationship was quickly on the rocks. When other female artistes began to send up the Spider Dance in their own acts Lola took to the road. In 1854 she embarked on a tour of the music and concert halls of the mining towns of California. But the boom towns were not as susceptible to Lola’s charms as the slightly more sophisticated San Francisco. Some of the miners, unimpressed by her dancing skills, booed her off the stage. Lola didn’t take all this lying down. A newspaperman who gave her a bad review was threatened with a horsewhipping while a second was challenged to a duel. In the past Lola had demonstrated that such threats of physical violence were not all aggressive bluster. She had once whipped a theatre manager and had broken the nose of her agent with a heavy brass candlestick. After an unsuccessful tour Lola settled down near the mining town of Grass Valley in Northern California. One story about her that gained local currency was that she habitually bathed in champagne and dried her much admired body with rose petals. She is also said to have shared her life with a pet bear. It couldn’t last, the money ran out, and she was soon on the road again. By the end of her life Lola was so far down on her luck that she passed away in a dilapidated boarding house in the notorious Hell’s Kitchen area of New York City. She was forty years old (or thirty-eight, or forty-two). 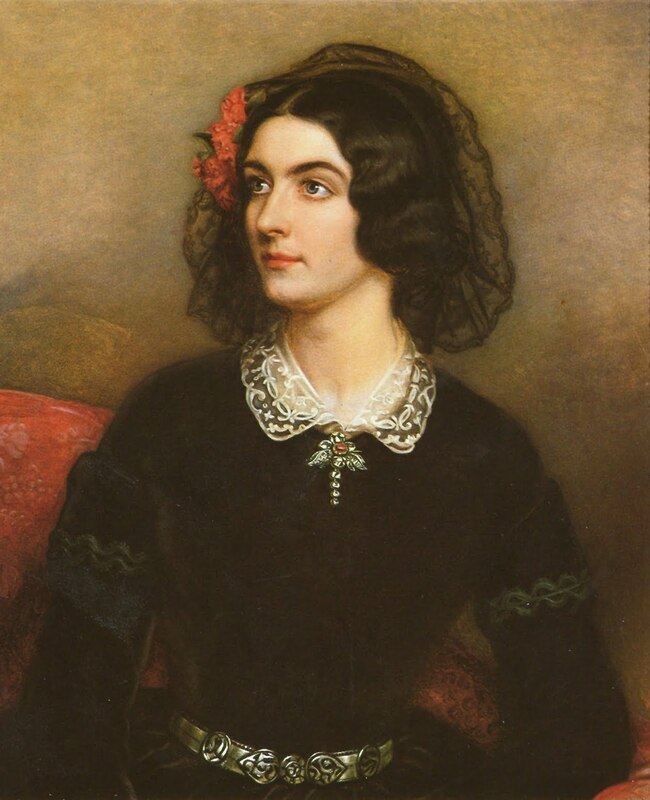 Lola Montez died 153 years ago, On This Day. When we think of plane crashes and Aer Lingus the one that immediately comes to mind is the mysterious 1968 Tuskar Rock disaster where a Viscount aircraft, named St.Phelim, flight EI-712, fell from the sky as it cruised towards the coast of Wales in circumstances that are, as yet, largely unexplained. For years rumours abounded that the St.Phelim had been downed by a missile launched during a British military exercise. In recent years an investigation has suggested that the reason for the crash was more banal, involving simple structural failure. But the Tuskar rock crash was not a first for Aer Lingus. The company began operations in May 1936 – it was almost 16 years before its first fatal air disaster, in January 1952. It was one of 65 fatal crashes that year. To put that figure in some perspective, over the last three years, with air traffic having increased exponentially since the 1950s, there has been an average of 35 fatal incidents a year. Shortly after seven o’clock the pilot, Captain James Keohane, reported to the Nevin Radio station south of Anglesey that he had reached the Irish Sea and requested permission to descend from 6500 feet to 4500. It was the last ever transmission from the St.Kevin. It’s intended route should have taken it 15 miles south of Mount Snowdon. In fact, far from being over the Irish sea, the plane was heading almost directly towards the 3650ft high peak. A few minutes later it crashed into the bleak and bare Cwm Edno valley a few miles from the highest point in Wales. All twenty passengers on board and the three crew members were killed. First news of the disaster came with a telephone call to Carnarvon police from two locals who told of having seen and heard a plane crash. Rescuers reported a scene of utter devastation when they reached the crash site after first light the following morning, having climbed for almost an hour to get there. Sections of the wreckage and many of the bodies had been sucked into the marshy soil of the high valley. One poignant account reported how a child’s doll had been thrown clear of the burning wreckage and how that distressing sight had particularly upset the recovery party. The doll belonged to five-year old Melody Laker. Her parents were also on board, having decided at the last minute to take their daughter with them to Ireland. Her father, Michael was himself an Aer Lingus pilot. 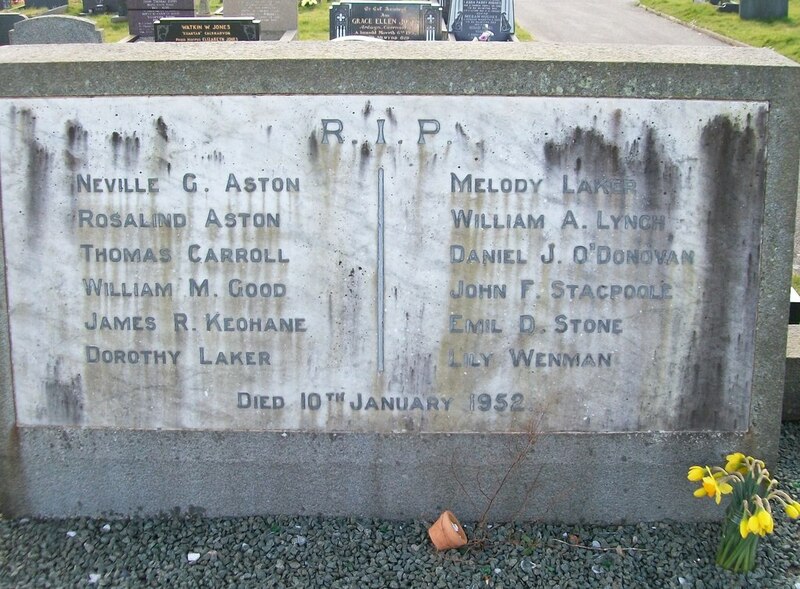 Among the other victims was a 16 year old German girl, Lily Wenman, on her way to Dublin to live with her grandmother, Evelyn Belton, cousin of a former Lord Mayor of Dublin and the 23 year old air hostess, Deirdre Sutton, who had only been working for Aer Lingus for two years. At the time of the accident it was one of the tenth worst in British aviation history – even today it remains in the top thirty. Twelve of the victims of the crash, including Captain Keohane, Melody Laker and her mother Dorothy, are buried in a communal grave in the parish cemetery of Llanbeblig in Carnarvonshire. Michael Laker’s body, like that of a number of other victims, was never recovered. A stone memorial was placed in the ground close to the crash site at Cwm Edno in the wild and beautiful Snowdonia National Park. 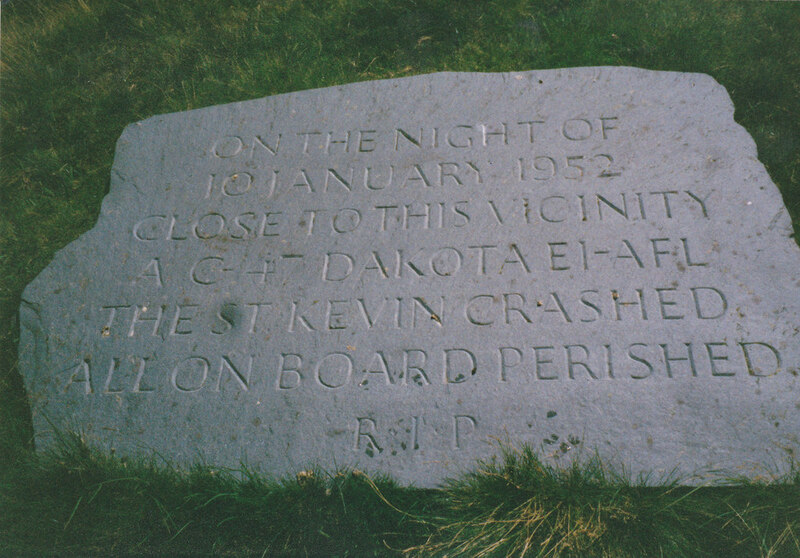 The St.Kevin made its final fateful flight from London to Dublin 62 years ago on this day. In January 1920, the British government placed advertisements in British newspapers for men who were willing to “face a rough and dangerous task”. The jobs on offer were as Temporary Constables in the Royal Irish Constabulary, a force by then coming under intense pressure from the IRA. The target market for the ads was unemployed ex-servicemen, men who knew how to handle weapons and who had survived the horrors of the Great War. 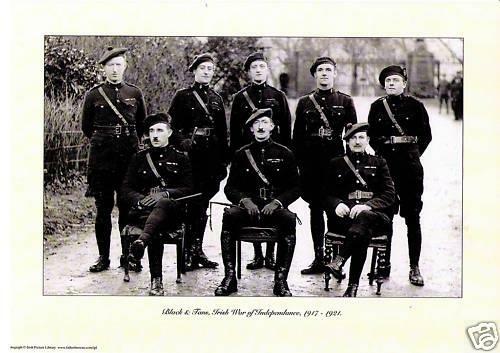 Recruits, around seven thousand altogether, were trained for about three months and then sent to Ireland. Such a large influx caught the RIC unawares and a lack of uniforms meant the temporary constables were dressed in khaki trousers and dark police tunics. Their attire reminded a Limerick journalist, Christopher O’Sullivan, of the colouring of the Kerry Beagles that made up the famous Black and Tan hunt on the Limerick/Tipperary border – the name stuck. They were paid ten shillings a day plus board and lodging at a time when the pay for a British Army private was little more than a shilling a day. Never noted for their military discipline, despite their backgrounds, the RIC Temporary Constabulary took to the unofficial reprisal with gusto. It was Black and Tan units who torched Balbriggan and (with some outside assistance) the centre of Cork, burning more than 300 buildings in the southern capital. In the latter instance those responsible proudly displayed burnt corks in their caps for a time thereafter. A few myths have grown up about the Tans. For a start they were not all British. At least 10% of the members of the force were Irish-born. Neither were they responsible for the shooting of civilians on Bloody Sunday in Croke Park, that was largely the work of the even more vicious RIC Auxiliary Division, the notorious ‘Auxies’. Neither did Tom Barry ‘lay all the Black and Tans low’ at the Kilmichael ambush in 1920, as the words of the song would have it. The 17 security force fatalities on that day were also Auxiliaries. In a gesture of sweet irony the “Cogadh na Saoirse” medal, awarded since 1941 by the Irish government to IRA veterans of the War of Independence, includes a ribbon with two vertical bands, the stripes are in black and tan. The name itself is still to be found in use in various forms in the USA. In 2006 Ben and Jerry’s got themselves in hot water when they created a new ice cream called Black and Tan. It doesn’t appear to have caught on. Two years ago Nike thought better of referring to a new brand of trainer as a ‘Black and Tan’ after protests from Irish-American groups. Recruitment advertisement for the infamous RIC temporary constabulary were up and running in British newspapers 94 years ago, on this day.